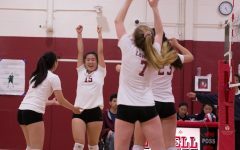 The varsity girls’ volleyball team took home another citywide championship title after defeating the Lincoln Mustangs in a five-set match on Nov. 13. The first set was a back-and-forth struggle to gain a head start for the rest of the competition. The Cardinals fought long and hard with impressive spikes, yet they fell short. The Eagles had an ace to end the set, and the Cardinals dropped the first set, 25–22. The second set was another close call. 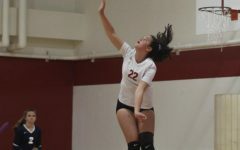 The Lady Cards attacked open spots on the opponent’s court and racked up points, and the score was tied at 24–24. 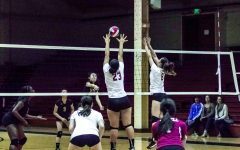 The Cardinals edged out the competition with strong returns, helping the girls take the set by a deuce, ending the second set 26–24. The Mustangs took the third set, but not by many points, as girls fought valiantly to still have a shot at winning the game. The Mustangs took the third set, but not by many points, as girls fought valiantly to still have a shot at winning the game. Some short serves and net violations by the Cardinals were the only things that set the girls behind but that was enough to make them drop the set 25–23. 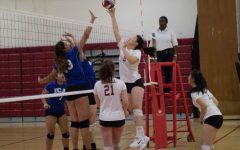 In the fourth set, the Mustangs started off strong but could not surmount the nine-point lead held by the Cardinals during the middle of the set, 18–9. 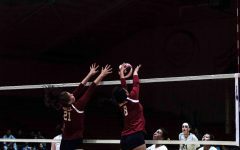 The Cards delivered a joust by blocking the ball before it could fly over the other side of the net and took the set 25–18. When the fifth and final set came around, a battle royale ensued. The girls were determined to win the set and take home the gold. Their spikes were so powerful that the Eagles hit the ball out when they tried to return it, and this gave the Cardinals a cushion with a six point lead at 9–3. The Lady Cards continued their strong play and carried the lead throughout the game until they finally won the final set, 15–7. They took home their fourth consecutive city championship title. The checklist of goals for the girls to accomplish is completely marked off. An important factor into the team’s success was the friendships created during and out of practice. Just as head coach Steven Wesley predicted, the players’ closeness to one another strengthened after the girls emerged from the tournament victorious. As for tactics, the girls improved in the area they had set out to master at the beginning of the season — the serve receive. “We struggled a bit with our serve receive initially, but were able to find ways to convert quickly to get out of serve receive and back on the offense where we excel,” Wesley said. The substitutions of players was another key method of using the girls’ skills to the team’s advantage. “We were able to move our players around in a ways that left little to exploit, including on serve receive,” Wesley said. Confidence-boosters also came from taking on new opponents and overcoming the odds. The Cardinals faced fresh teams this season and reigned supreme, according to Wesley. These teams included the Los Altos Eagles, the Burlingame Black Panthers and the Hilmar Yellowjackets. The Cardinals will compete in the California Interscholastic Federation NorCal Tournament on Nov. 24 starting at 7 p.m. against the Menlo-Atherton Bears at Menlo-Atherton High School.